Both teams launched themselves into this game from the very start. The Dunboyne defence was on top from the very start which provided the foundation for a superb performance all around the field. With Daragh Gilmartin accurate as ever form placed balls and Cadhla McKenna, Peter O’Doherty and John Mitchell chipping in with scores, the sides were level on 7pts each at half time. The second half started with Kildalkey on top coming at the Dunboyne defense in waves. The Dunboyne lads stood up manfully with Mark Delaney marshaling the fullback line. John Mitchell hurled superbly at number 6 ably abetted by Ronan Duggan with Peter O’Doherty sweeping up all around him as the extra defender. Dunboyne fell 4 points behind with time running out when Sean Melia pounced on a loose ball to whip it to the net with a superb ground shot. The Dunboyne midfield were now on top with John Morris covering every blade of grass. Michael Farrell battled hard and was rewarded with a point. Daragh Gilmartin followed it up with a cracking point from an acute angle. After some great play from Dunboyne at the back, the ball was swept up field to Darragh Finlay who crossed it to Daragh Gilmartin where it was finished to the net. A final push by Kildalkey was again repelled by the Dunboyne defense and the lads held on to win by 4pts. A great team performance. Dunboyne: Cian Smyth, Con Greene, Mark Delaney, Joe McWeeney, Ronan Duggan, John Mitchell, Gavin O’Keeffe, Cadhla McKenna, John Morris, Peter O’Doherty, Daragh Gilmartin, Darragh Finlay, Michael Farrell, Sean Melia, Liam Murray, Sean Rooney. When: 26th March 2017, 12:30. The U12 boys kicked off their season with a great 3:06 to 0:01 win over Clann NaGael in sunny conditions on Castle Pitch 1 today. It was a great game and both sides deserve great credit for serving up such a sporting and exciting game for the on-looking public. Dunboyne had the aid of a slight breeze in the first half and dominated possession but were met with a very dogged Clann NaGael full back line, breaking down attack after attack. John Harkin got the scoring under way on 5 minutes with a well taken point off his left and the same player hit the net 8 minutes later after some great link up play on the right wing. CnG came straight back up the field and pointed a well taken free. This point proved to be their only score of the match but they never gave up and made Dunboyne work all the way for their win. The half ended with Stephen Leonard getting a sweet point to leave the Yellow and black leading by 0:03 to 0:01. The second half was only under way two minutes when John Harkin popped up again with another point, only to be followed by a bullet of a shot from Shane McCormack which hit the back of the net to put daylight between the teams. Shane split the posts again on 9 minutes with a well taken point. The Dunboyne lads were well on top at this stage. The defense were on lock down and hoovered up any ball the came their way, with Dan Boyd plucking balls out of the sky for fun at full back. Jack Fitz earned and scored a free on 18 minutes and 1 minute later Shane threw another one over. Ben Madigan scored an opportunist goal to bring the scoring to a close and a very satisfying days work for all involved. Next up away to Dunderry next weekend. With lots of injuries and absences it was a bare minimum of 11 that took on a Trim squad big in numbers and size. The large pitch suited some of our athletes like Rachel Coleman and Rachel Norman who showed their skills and went on long carries the length of the pitch. The big spaces led to some players becoming isolated at times but with Sophia Barnes and Ellie Galvin tacking like tigers and with scores from Mia Conway and Lucy Eglington we dominated most of the first half playing into a stiff breeze. However a poor 3 minutes before half time saw us changeover a point down. The wind helped matters and some great bursting runs by captain Ailbhe Kennedy and Alison McNulty set up some super scores by Ellen O’Beirne and Sadhbh O’Connor who also tackled one player at least 5 times in one move before guiding her over the sideline. Trim to their credit kept on coming back and looked set to tie the game until Kate Lynch showed the reflexes of a cat to pull off a great save to keep them out. This was a really brave united performance by our 11 girls on a hot day with no subs who pulled out a very deserved win. Dunboyne put in a superb performance this morning with a comfortable win over Skryne. Leading by 2-08 to 0-08 at half time, the girls pushed on to record a 7-13 to 1-10 victory. Our Under 16 ladies had their second outing of the year this morning against a strong Skyrne team on the Castle pitch. On a wet morning for football, the girls gave a superb display of determination and skill and won on a scoreline of 7.13 to 1.10. Led by our captain Chloe O’Reilly, playing into a strong breeze, we led by 6 points at half time, 2.08 to.0.08. With the wind at our backs, we took over in the second half and scored some excellent goals and points running out comfortable winners in the end. Thats 2 from 2 for this very talented bunch of 15 & 16 year olds. The girls are training extremely hard and our next match is Wednesday week away to Royal Gaels. Dunboyne were slow off the mark in the Div 1 league game played at the Dunboyne Castle pitch and trailed Kildalkey by 1-6 to 2-8 at half time. Dunboyne’s highlight of the opening half was an excellent team goal finished by Eoghan Ryan. The second half was much better from Dunboyne but it still took a late goal from Michael Dunne to seal the victory. With the aid of a strong breeze Dunboyne stormed into a 3-9 to 0-3 lead by half time in this Div 2 clash with Blackhall Gaels played at Kilcloon. While Dunboyne also found it difficult to score against the breeze in the second half, they were defensively very tight and ensured another clean sheet for keeper Paul Brady. 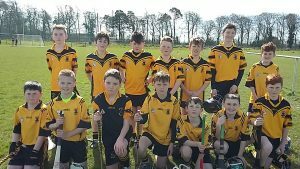 Our latest trip in the u14 championship was away to Walterstown who had recently been successful in the U13 championship. Dunboyne started well but struggled to convert the chances. A point by Niamh O Doherty got the Dunboyne girls underway but Walterstown hit back with a couple of scores of their own. Rachel Kane and Katie Cagney added to the Dunboyne tally however a dubious penalty gave Walterstown a 1-2 to 4 points lead. The second half started with Dunboyne on top but every point gained was cancelled out by a score from the opposition. Leah Troy playing her first game after returning from injury started to find her rhythm with two well taken goals which were split by a high dropping ball that found the back of the net from Niamh O’Doherty. Walterstown hit back with goals of their own but Dunboyne had enough credit on the board to see the game out. Another match, another tough opponent for our U14 Div 5 footballers. Playing into the wind and with no subs, Dunboyne were up against it from the start. Drumbaragh dominated the play from the start, faster and stronger, shooting and rarely missing, half time came with Dunboyne trailing 4-9 to 1-0. Taking to the pitch for the second half, commitment to teamwork proved the dominating force for Dunboyne. Tenacity from our back line kept the opposition’s scoring at bay and with ten minutes to go saw Colleen Byrne, shred the opposition with a scorching goal. This display roused the players into a full on display of brilliant football, adding a further goal and 4 points to the final tally. Another great win by our girls all of whom put in a complete performance. A bright start got the scoreboard ticking over but there was a lull where our shooting went astray. The 3 Rach(a)els of Harkin Coleman and Norman totally dominated the middle of the park and with players like Ailbhe, Sadhbh and Alison hoovering up every ball at the back our opponents were restricted to 1 score into Kate’s well defended goal. There were some great long carries from Ellie and Ciara and super support running all over the park with superb scores from Ellen, Mia, Sophia and Faye. Tougher games lie ahead but this was a super performance by all. Venue: Castle Pitch 1, Dunboyne. Dunboyne edged out Wolfe Tones in a keenly contested game at Castle Pitch 1 on Sunday afternoon. Dunboyne led by two points at half-time, but the weather conditions and Wolfe Tones’ perseverance combined to keep the Dunboyne players under pressure until the end. A well taken goal from Niall Jones ultimately proved to be the winning of the game for Dunboyne. Dunboyne started very brightly racing into a 3pt lead, our first score was a very well taken point by Orla Flanagan. Our lead was quickly cancelled out by a Dee Rangers goal. We took the lead through a well worked goal with Julie Kavanagh applying the finish. But Dee Rangers came back to score their second goal and draw level. Thanks to a Shelly Melia goal just before the break we went in ahead at HT 3 pts up . Dunboyne got exactly the start we wanted with a goal from the throw in through Vicki Wall, another Vicki point put us 7 pts ahead. Full credit to Dee Rangers who responded with 2 goals in succession to bring the game back to level. However Dunboyne responded very well with a goal from Rachel Mc Dermott. Dunboyne pushed very hard for the last 10 minutes with a number of players leading from the front, including Beibhin Hickey, Shelly Melia, and Sarah Wall. Dunboyne scored the final 1-3 without reply to secure the victory. Our girls turned in a fine team performance against a big Ratoath outfit. With Ciara McCoy leading as captain every girl contributed to the team effort. We had lots of pressure in the first half but were slow to convert chances into scores. Sadhbh O’Connor won every ball in defence and with Aislinn Kelly bossing midfield our high skill level showed through in the second half. Some moves went the length of the pitch from keeper Ellie Galvin with Rachael Harkin nearly bursting the net and some super scores from Ruby McFeat and Faye Sommers amongst others. A very impressive start to our weather delayed league campaign. Despite a spirited performance Dunboyne fell just short in their opening League match of the 2017 season. Played in Stamullen under lights in perfect conditions for football, both teams deserve credit for producing a very exciting, closely fought match. A shaky start to both halves proved to be Dunboyne’s undoing. Conceding the first four points in the first half and two early goals in the second were hammer blows that proved too much to recover from. However, the Dunboyne girls never gave up the cause and good teamwork and intricate passing up front produced some excellent scores. A couple of good goal chances towards the end of the match were missed, with a little more composure the Dunboyne girls could have sneaked the win. 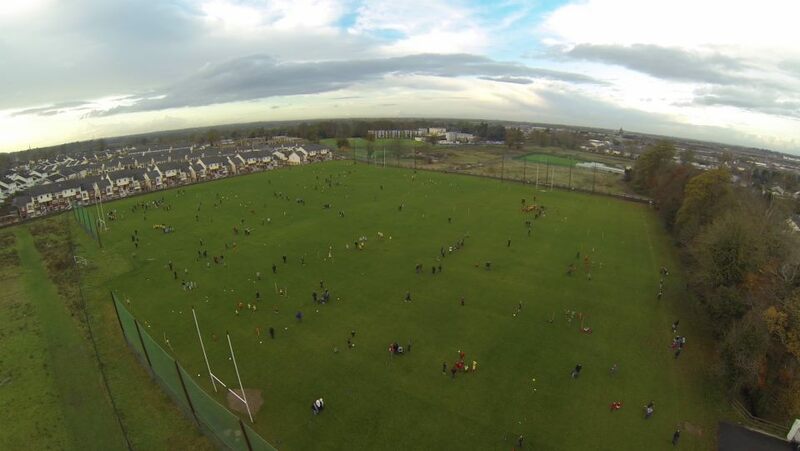 Venue: Castle Pitch 2, Dunboyne. After storm Doris did its best to disrupt all sporting events in the club the U14 ladies took to the field to face Seneschalstown in the second round of the U14 Championship. 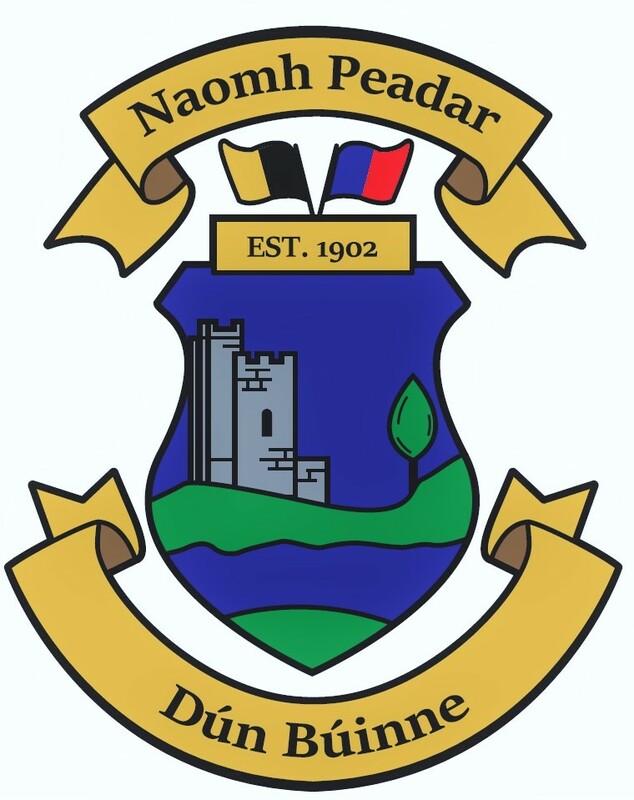 This was a typical story of a game of two halves with Dunboyne having the better of things in the first half only to be pegged back by the opposition in the second half. Dunboyne took the game to Seneschalstown right from the start with well taken points from Shauna Finlay and Ciara Laffoy. As Dunboyne got control of the game three goals followed in quick succession by Katie Cagney , Rachel Kane and Shauna Finlay. Just before half time Seneschalstown started to get their rhythm and added some well taken points and a goal that dipped in under the bar. Seneschalstown started the second half quickly and two well taken goals piled on the pressure on the Dunboyne girls. The tide seemed to be stemmed with a goal and a point from Niamh O Doherty however another goal and a well converted penalty by Seneschalstown put the pressure back on Dunboyne. The home side were glad to hear the referee’s final whistle as the managed to hang on for victory by a single point. Well done to our Under 9 group who travelled to Leixlip to play against St. Mary’s on Friday night last. Our two teams played two matches each against strong opposition, and despite it being their first outing of the new season, they performed excellently, showing that they’d forgotten none of their skills over the break. A thoroughly enjoyable outing against our near neighbours. Blessington scored the first two points of the second half and began clawing back the deficit and certainly were having their purple patch. But then some inspired saves from Dunboyne Keeper turned the tide in favour of the Black and Amber. Cathal McGoldrick made 3 point blank saves in an inspiring 7 minutes of defensive play from the home team. It certainly was the turning point as from there on Dunboyne picked it up again and began working the umpire at the other end. They finished the half with another two goals, before Donal Dempsey got the score of the match with a sumptuous left foot effort from 30 yards after a great sequence of build up play. The final whistle went with St Peters winning by 12 points. Great credit must be given to Kieran Carolan and his management team for the progress made with this group year to date, and also to the mothers who presented a snack bag to players from both sides at the end of the match. It was a great way to end a very sporting tie. Our Senior Footballers kick started their season with an impressive 4-11 to 0-05 win away to Rathkenny. Playing against a strong wind in the first half, Dunboyne led by a point at half time, by five points to four. Dunboyne put in a blistering second half, racking up four goals and seven points, with Rathkenny only able to register a single point in reply. 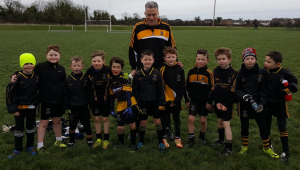 Our Under 8 panel travelled to a very windy and cold Stamullen to pit their skills against St. Patrick’s on Saturday morning. In exceptionally difficult conditions, our boys showed no rustiness after the winter break. All of the skills were there on show, pickups, solos, hand passes and accurate kicking. There were very good performances from all of the boys, who quickly came to grips with the very awkward wind that blew across the pitch. Some excellent inter-team play and long range scoring were just some of the highlights of the morning. The future looks bright for this group! Well done to all.